Boyd Epley: (Reminiscing about Tom Osborne’s motivational powers) His greatest speech I ever heard was before a game versus Illinois. Nobody writes those things down. You’re in the locker room and he’s just talking, and years later I asked him about that speech, and he really didn’t even remember the details of it. But I heard him speak many, many times and he was my head coach for 25 years, so I heard him address the team many, many times in different ways. But I think the Illinois game (they had played in the Rose Bowl the year before and they were Big 10 champions, maybe co-champion or something), they had a great year the year before. They had a good coach, too -Mike White, I believe- so they were gonna give us a run for the money. 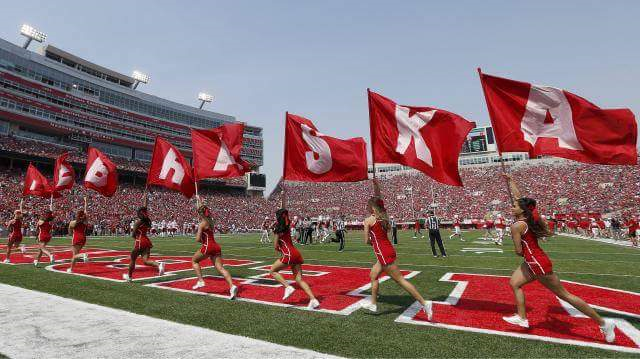 So we went there to play and Coach Osborne told them -I can’t quote him exactly, I wish I would have written it down- but he says, “When you get out there, the first few plays you’re going to experience a kind of nervousness and you’re going to feel like you’re kind of exhausted. But that’s just nerves, you’re really not exhausted. You’re one of the best conditioned football teams to ever take the field, and you work through that. It’s just kind of a nervous thing. You are physically prepared to dominate this game, you are gonna go out there and control this, make those tackles, you’re gonna make them feel every tackle. They’re gonna know you’re out there on every play, and after the first quarter we’re gonna have a lead and we’re gonna keep the lead..,” and just kept telling them what was going to happen and how physical they were going to be. We were ahead 28 to nothing after the first quarter. He was just impressive, and you listened to him. And basically, what he was doing, he saw the kids and how hard they had worked during the summer. He knew they were prepared, he knew it. And he just kind of told them what he saw and he gave them the confidence, and they wanted to go out there and just dominate. I remember that as a very motivating event. And what you recalled earlier (about the Orange Bowl ’95 halftime speech) was recorded by Jeff Schmall during the ’95 Orange Bowl game, but Coach Osborne gave many speeches like that that weren’t recorded. Nobody else was around but the players and the coaches, he was tremendous at just kind of telling them what was going to happen to them out there. Q: I know this might seem as coming from out of the blue, but did you play high school football? BE: I played high school football and was a pole vaulter. When I went to Nebraska I really intended to try out for football but I broke my leg. I broke it out there in Memorial Stadium. It used to be grass instead of Astroturf and it had the pole vault runways and the box where you put the pole -they had the box in the ground- I came down and landed in that box and didn’t get far enough into the pit and broke my leg. Q: How did you feel about that, when they asked you to do that? BE: Well, as an athlete, you have to realize: here I am on the pole vault and I’m hurt and trying to rehab this back injury, and I had 5 or 6 football players following me around. Joe Orduna was one of the players, and he’d had a knee surgery. And you’ve got to think back at this time, if you had knee surgery your career was over. And I worked with him and I didn’t realize I was doing anything special; I was just in the weightroom, he was in the weightroom. He was just working out with me, and he went back and ended up getting drafted in the 2nd or 3rd round by San Francisco and had a successful career. And that was unheard of for an athlete to come back after a knee surgery. And he wasn’t the only one, there were other players that went back (to playing), so pretty soon I had like 10 or 12 guys waiting for me when I’d come to the weightroom, you know? And this weightroom was just this small, little room off of the training room, and you had to kind of go through the training room to get to it, go up over these stairs and go down into this little space. And all it had was this little Universal gym and about 5 dumbbells, one bar, 300 lbs. and one bench and that was it. And it was about 900 square feet. So I made up a list of squat racks and benches and things I thought they’d need, just the basic stuff. I brought it over to him and he was standing outside the office area there and he said, “Alright, let me give this to the secretary,” and he doesn’t even really read it that closely, and he says “This is what we need?” And I said, ‘Yup.’ And he hands it over to the secretary and he says, “Order this.” And I say, ‘Coach, I forgot the second page.’ (laughs ) And he looked at me -you know how smart he is, (laughs) he knew what I was up to- and anyway, he looked at me and laughed and said, “Alright, bring me the second page tomorrow.” And I said ‘Okay,’ and I went home and added dumbbells and some pulleys and other stuff to the list. I was just afraid the first time because I thought that ‘they’re never gonna approve all this.’ So I really made a nice list up and brought it back to him and he says, “Alright. This is it, right?” (Little did he know I’d always be bringing him lists later on.) (laughs) And he said, “Alright, Boyd, we need to go in and see the boss.” And I go, ‘What do you mean?’ He said, ”We need to go in and see Bob Devaney and get permission to do all of this.” So we go around the corner into Bob Devaney’s office there in the Coliseum, located up on the second floor -that office is now John Cook’s office- there was a big seal, the Nebraska State Seal on the wall above Devaney’s desk, and Devaney’s at his desk and he’s sitting there in his red, leather chair. I remember it like yesterday, I remember where I stood and where Osborne stood, and where Devaney was sitting, and Coach Osborne explained to Devaney, the athletic director and head coach, who I was. Bob said, ”I’ve seen Boyd when he’s in the weightroom. You’re a pole vaulter, right?” I said I was. He said Tom told him that I was helping the injured players get stronger and that Tom thought it would be a good idea if the entire team lifted weights and if I’d be willing to help teach them. And Bob says, “Why would you want to do that?” So I was faced with the prospect of having to defend my program, and I’d never had to do that before. So here I was trying to explain to him that it would make the players stronger and faster, and it would help them win more games, and he said, “Well, if Tom thinks this is important, we’ll give it a try.” And then he looked me right in the eye and pointed at me and says, “But if anybody gets slower, you’re fired.” But I wasn’t really hired yet! (laughs) I was still an athlete, but it was during that time period that I had injured my back. And I don’t know if it was Devaney or the trainers or what, but they kind of told me I couldn’t pole vault anymore because Devaney wanted me to be the strength coach. And magically I started getting paid $2 an hour to watch the weightroom instead of having my scholarship. They saw to it that I got paid for supervising instead of being on scholarship and being on pole vault, they said it was too great of a risk. Q: If you had a chance to do anything over again, would you? BE: Oh, I’m sure I would do a few things differently. But nothing comes to mind. I was there a long time, and I’d like to take the opportunity to thank all the people that helped me when I started out who didn’t get much credit. I worked hard but no one really recognized the effort, and later in my career it was just the opposite. Whenever we’d win a national championship I’d get credit for that, but I probably got more credit than I deserved. There were a lot of people that helped me along the way. You were one of them, Mike Arthur certainly was one of the most significant to make an impact in the program -he was with me 25 years- Randy Gobel, Bryan Bailey, Dave Kennedy, Jerry Schmidt. There were 64 of my assistants -I made a list of their names- 64 guys that contributed to that program and they’re the ones that did the work, they’re the ones that should get the credit. And you know, later on I had a strength coach for every position on the team. Q: When was that? ’92 or so? BE: Well, what happened was, we weren’t beating the Florida States. We weren’t quite good enough, mad at what was happening. Florida State was putting linebackers in the defensive line and putting defensive backs up playing linebacker, and as a result everybody was quicker than us. And here we were with these big linemen that were slow as compared to these Florida athletes. It wasn’t that we were really slow, it was just that they were moving people into positions that made them much faster. So we had to catch onto that. Charlie McBride figured it out. Remember Ed Stewart? He was actually a defensive back and he was physical enough, strong enough, fast enough, but they moved him forward to play linebacker like Miami was doing, so he was much quicker than a normal linebacker instead of a Jerry Murtaugh-type guy who would come over and knock your head off. He was a quicker, more agile guy, so Coach Osborne did as much as he could of that and started recruiting more players like that, and he came to me. You know, Coach Osborne never asked me to do much -he let me run the program for the most part all those years- but he came to me and asked me to improve our agility, we needed to work on our agility. So we made a major change in the program, we went from the ‘county fair’ regimen where athletes would go from one workout station to the next to the next (actually that was part of the original program that Cletus Fischer came back with from Texas) and over the years I changed some of those stations, but we kept the county fair concept where everybody would go from one station to the next until we completed the winter program. Well, when Coach Osborne asked for more agility we changed to more of a position-specific deal where the defensive backs would stay in one area of the field, those linemen on the offense would stay in one corner, the defensive line would stay in another, the running backs in another corner. The team was divided into 4 stations, so the drills were created to provide for agility in each of the 4 corners. And they were different. The O-line didn’t do the same drill as the D-line did, so I needed specialists at each of those corners. So I had my staff become specialists on what the people needed in that corner, and each one of my strength coaches had an assistant (in case one wasn’t there the other could handle it). It was great for the team, but it was difficult for me not being able to work with each player individually so much, so I kind of lost that personal contact. 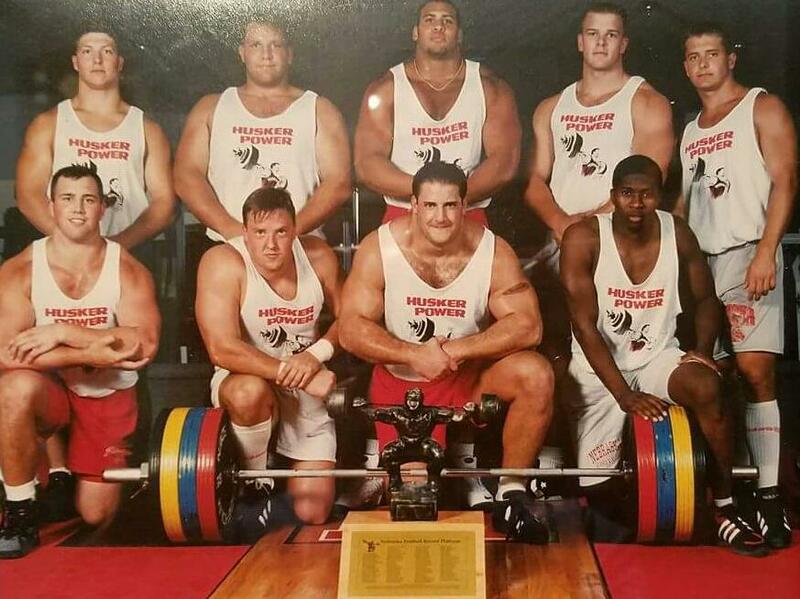 So each of those players had their own strength coach that they learned to relate to, and then those strength coaches got to be their personal friends and I kind of got more distant over time. It was in the early ‘90’s there, but it contributed to us becoming much more agile as a team, much faster. Q: The symphysis pubis-type of things? BE: Yes, and we found out we were training certain drills 254 days a year. And that ended up being too much for some athletes, and they broke down and started having osteitis pubis injuries. And at one time we ended up having more osteitis pubis injuries than anybody else in the country that I’m aware of. So that became a concern. And some people in the program blamed the squat exercise for that. It was ridiculous. It wasn’t the squat, but that’s what some people thought. It was actually overuse. So we had to kind of change our summer program and get away from those position-specific agility drills and go back to some of the county fair exercises where it was less intense and get away from that overuse syndrome we’d gotten into. Q: Too much of a good thing, eh? So what was it like standing on the sidelines, knowing you did everything you could? Until we got over the bowl/Florida teams hump, what was going through your mind when we were losing to the Miami’s and Florida States in those bowl games down there in Florida? BE: Well, there’s not too much you could do, but standing on the sideline is exciting because you’re part of the team and you can feel the pulse on the team. If you just watch TV and see the expression of a team, winning or losing, you could tell by the expression. But when you’re on the sidelines you’re part of that and it’s exciting. One of those frustrating times for me was when we played Florida State and 1:16 was left in the game and we were ahead, and it looked like we were gonna win the game. So I went up to the seats where my son was seated with my wife and my daughter. Well, I went up to get my son so he could be on the sideline when we would celebrate the national championship, and so by the time I got back down a minute sixteen had expired and we’d lost the game. Florida State had driven down the field and kicked a field goal and beat us. So I didn’t really get to see what happened there, because I was fighting the crowd to get up there. That was another one of the things -you were still around then- during the winter conditioning we really didn’t do anything special after that game, but during the summer time we did. I asked Randy Gobel if we could turn the stadium’s scoreboard on for the summer. Nobody had ever really turned it on during the offseason like that before. 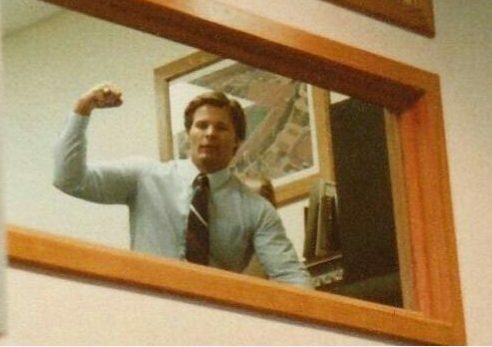 So he had to go up into the press box to do it. I had him put 1:16 on the clock above the north stadium, on the scoreboard. So it was the first day of summer conditioning and I told a couple of the seniors what I was about to do, so I had their support. We did our first workout that summer, and then we’d usually come together after the workout for announcements or whatever. So we got them together and I said, ‘Alright guys, last January 1st (or whatever it was), we lost to Florida State with 1:16 left in the game, and you just throw in the controversy with the officiating this-and-that, but we’re gonna add 1:16 every day to the workout all summer long.’ And then I had them look at the scoreboard. They looked up there, and I said, ’We’re gonna run an extra 1:16 every day to remind you, no matter how tired you are, or how bad the officiating is, you’ll be able to overcome anything that happens when you get that close to winning the national championship again. There will be nothing to stop you from winning it.’ One of the first guys said , “I ain’t running no extra whatever..,” and one of the seniors just elbowed the guy right in the chest -thump!- and everybody else understood that this was already agreed to and that was the way it was gonna be.